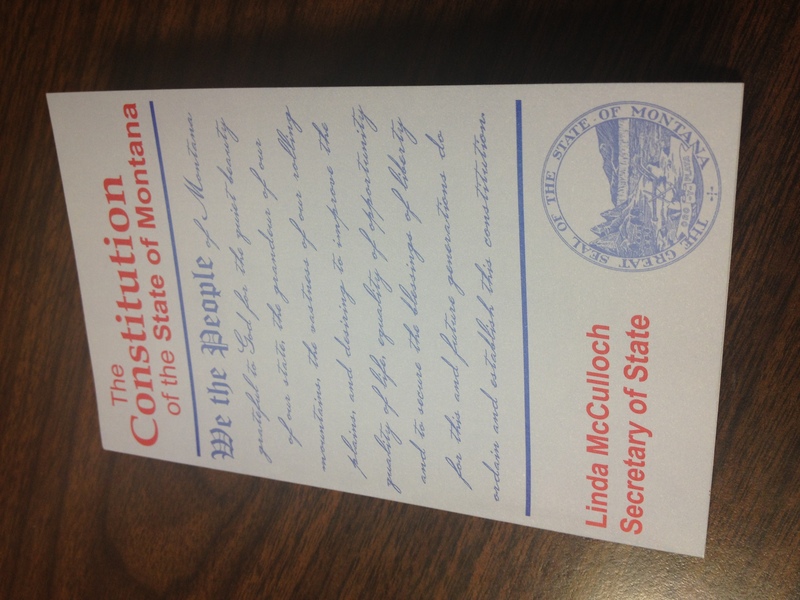 This year marks the 40th anniversary of Montana’s Constitution. Our state’s top document was ratified by the people of Montana on June 6th, 1972. The nonprofit Humanities Montana is hosting a series of discussions on both the state and U.S. Constitutions today and tomorrow at Carroll College in Helena. Humanities Montana Executive Director, Ken Egan says 40 years actually shows how young the Montana Constitution really is. He says that’s worth celebrating. “We’re celebrating the fact that they were very direct about issues such as Native rights, such as the environment, such as the right to petition the importance of local government and some autonomy for local government,” he said. The Montana Constitution is often described as one of the most progressive constitutions in the country. It was controversial in 1972. Egan says it passed by a slim margin of just 3-thousand votes. He says that controversy carries through to today and will be addressed at the Caroll College event. “What people will say is it was passed at a moment in Montana history in the early ’70s when the progressive attitudes did dominate and has it been a success, this constitution for Montana. And that’s what our panelists are going to debate, if you will,” he said. The final discussion this evening takes place at 7:30 at the Carroll College Campus Center.It’s called Representative Government and Free Enterprise: What were the Founders Thinking? Panelists will be Carl Graham from the conservative Montana Policy Institute and Brian Kahn, host of the Montana Public Radio program Home Ground. Montana Supreme Court Justice Patricia Cotter will moderate the discussion.